Hard at work – there were sound effects too. Is she dissecting a frog? 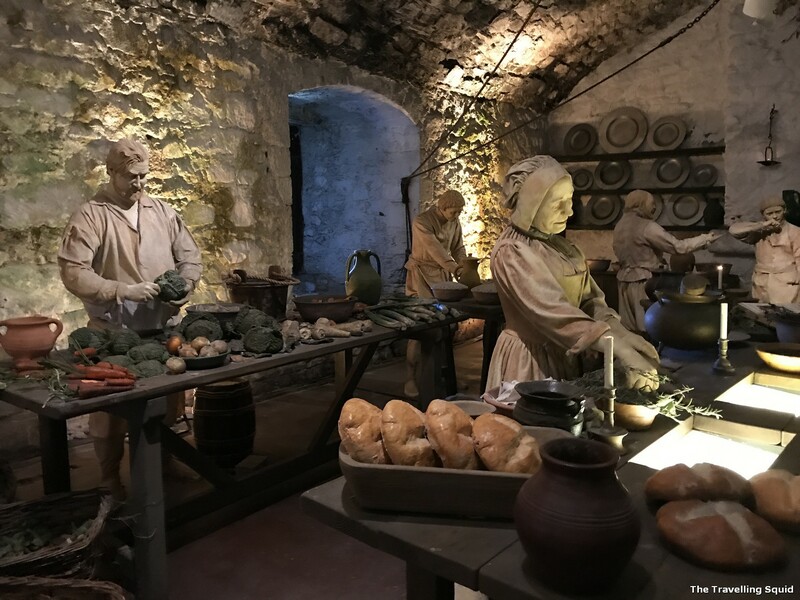 See what life was like for the men, women and children who prepared the feasts for kings and queens, and baked the daily bread for servants. It’s a bustling scene filled, not just with people, but the dogs, cats and rats which also tried to survive by scavenging for scraps on the straw-covered stone floors. The intensity and ruthlessness. Of someone who did something wrong. 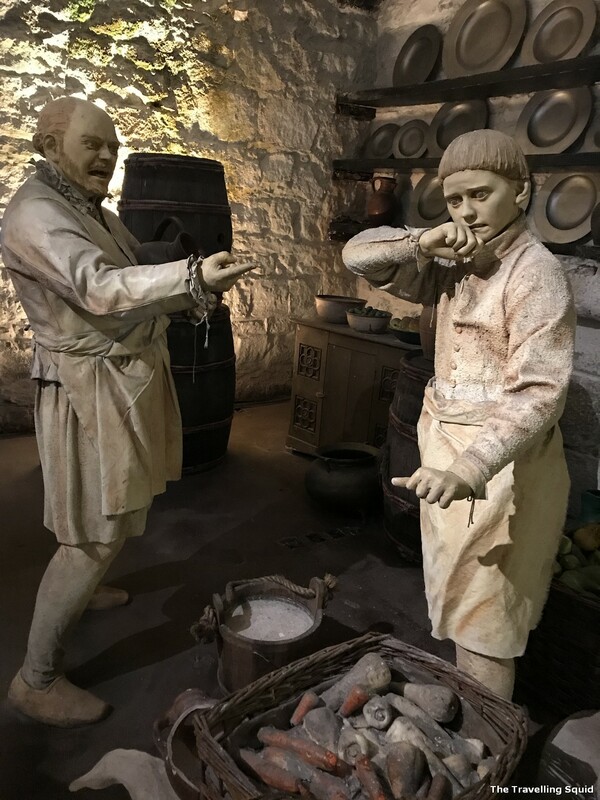 The exhibition at the royal kitchens is indeed, eye-opening. 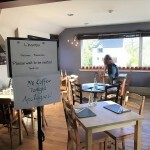 You could almost sense the atmosphere back in the day – like restaurant kitchens today, can be an intensely chaotic and stressful place. 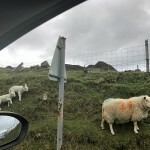 I expected lots of name-calling and shouting. But the food, which came in the form of stews, pies and meats did look good. 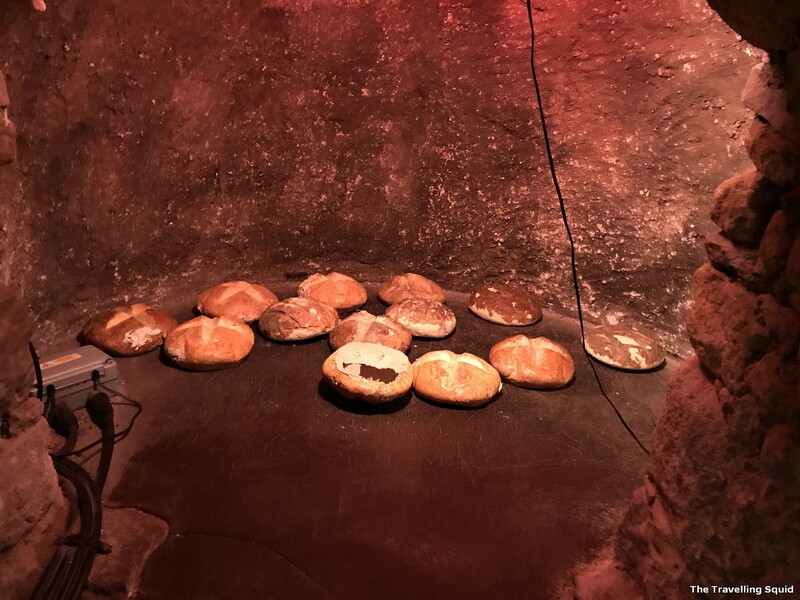 There was even an exhibit on bread-making. A pie for the butler, who will serve it to the castle inhabitants. 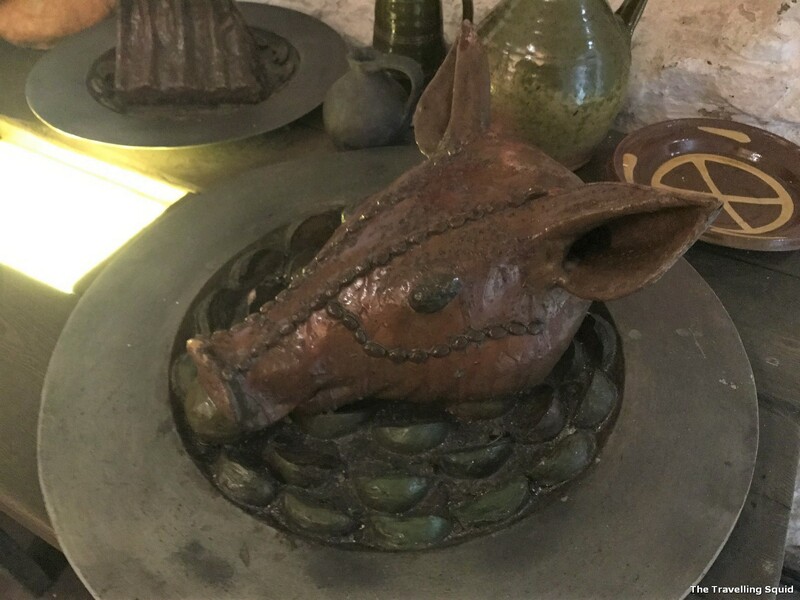 Pig’s head – that looks somewhat off-putting, but may have been very much enjoyed by a warrior back then. That must be one heavy pork leg. ‘How interesting! (And it makes me feel better about myself). 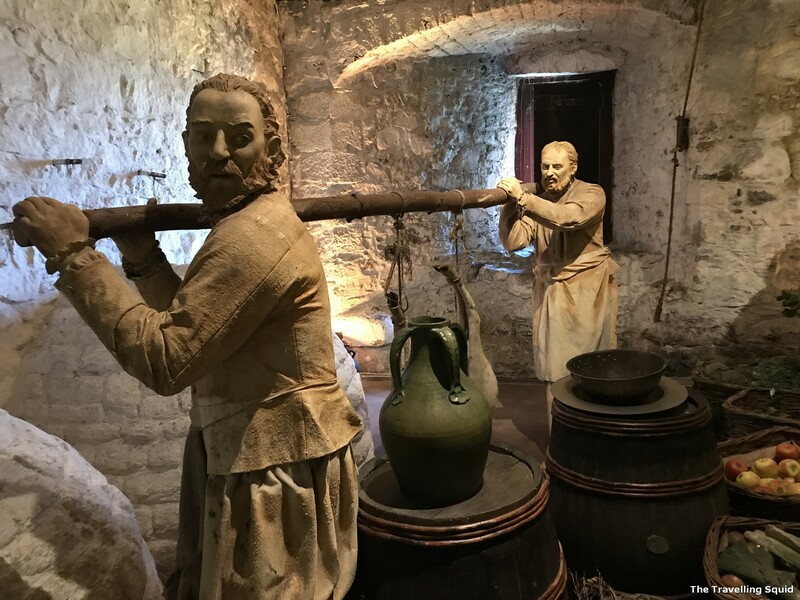 Did you know what in the 1500s, ale was the only source of water for people then? Even young children had it. It was the only form of water for the people back then as germs were killed during the brewing process. Apparently the small levels of alcohol in the liquid was mild and not intoxicating. 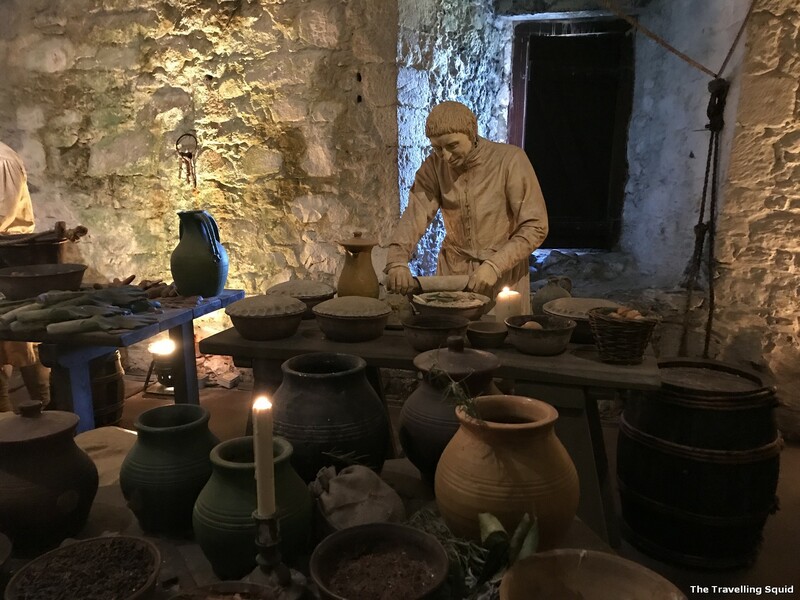 A servant was allowed 1.7 litres of ale every day – which is actually quite a small amount to feed a family, if you think about it. 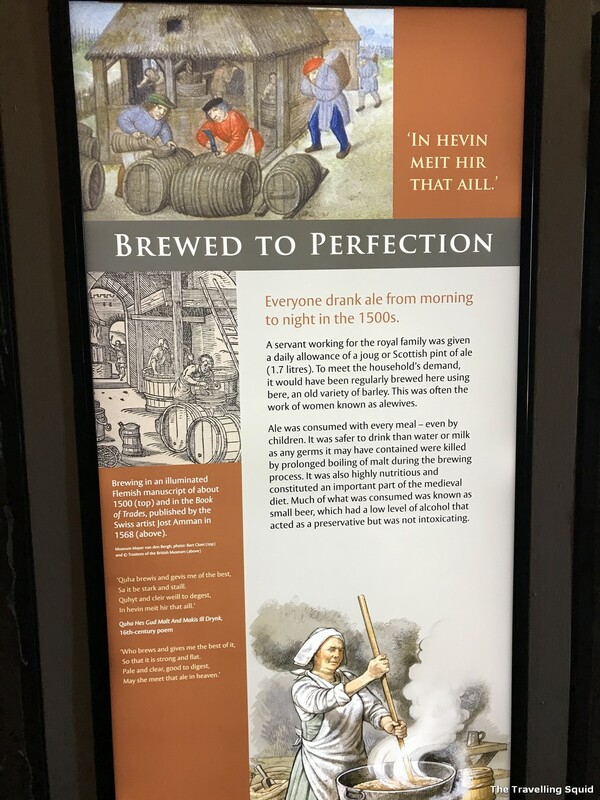 The brewing was usually done by women, called ‘ale wives’. 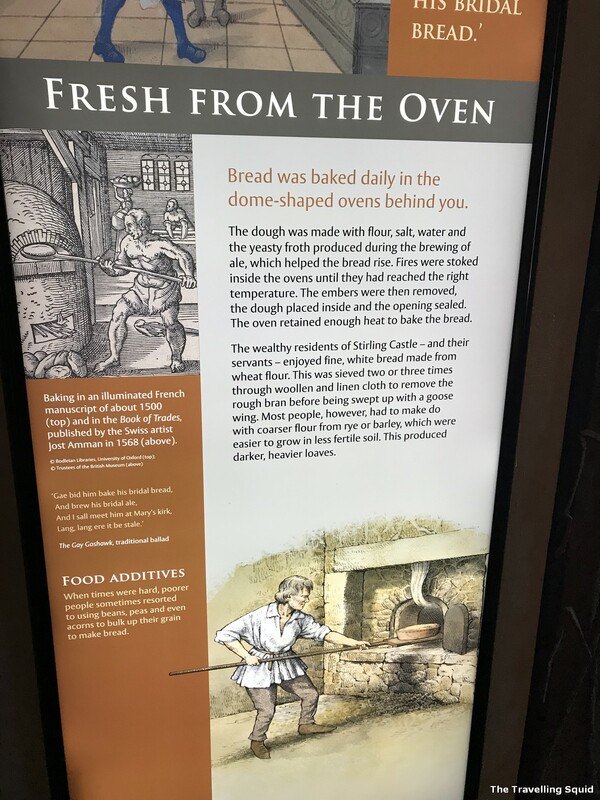 If you’re keen to learn more about bread making during medieval times, check out the picture below. What I took home was that the wealthier residents of Stirling enjoyed white bread, with the flour being sieved through linen cloth. The common man used rye and barley in bread as these grain grew easily in harsh conditions. These contributed to darker, heavier loaves. Check out this info board abt the fun facts of bread making. Some medieval terminology for your reference. 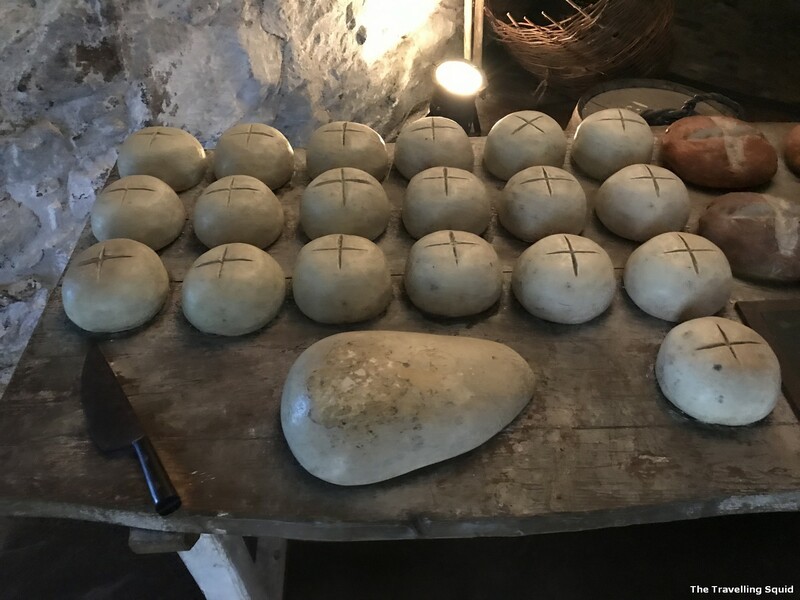 Making bread in a hot wood oven. The expressions of the kitchen staff were so realistic! Dough waiting to be placed in the oven. 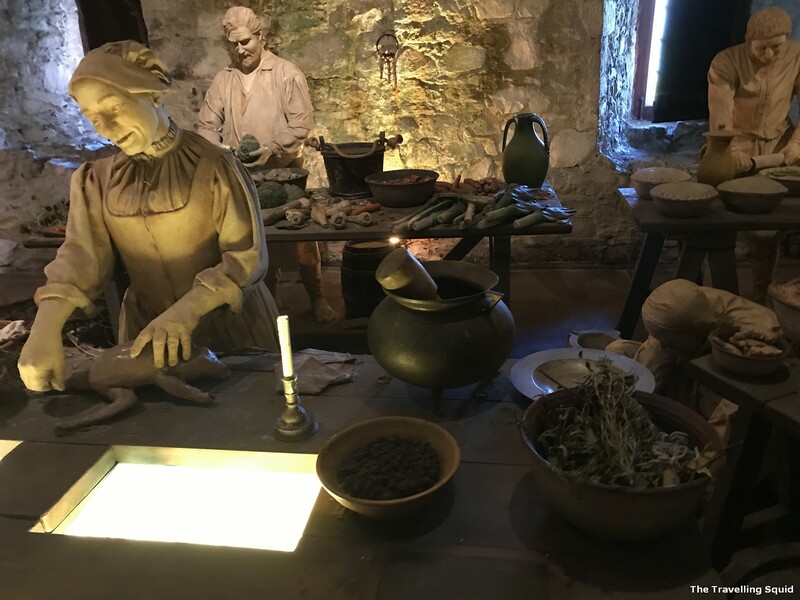 Location – the Great Kitchens of Stirling Castle are easily missed! 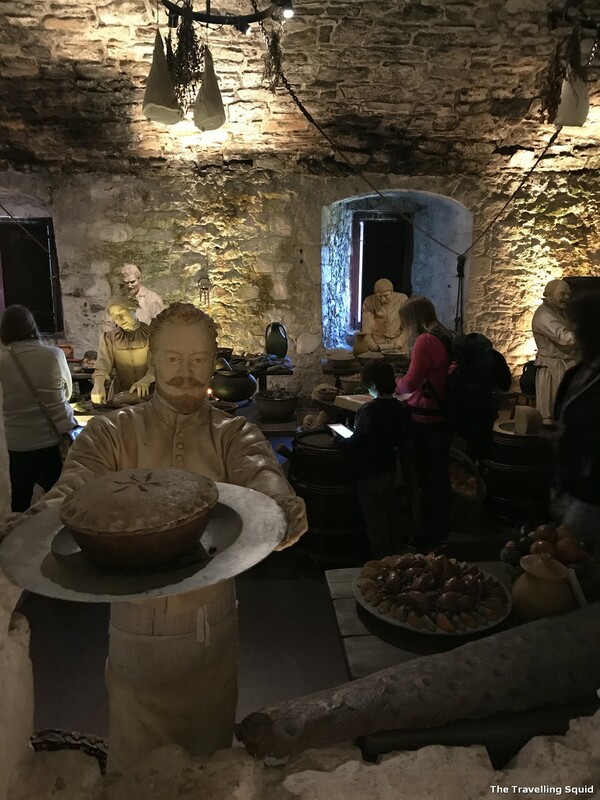 We chanced upon the Great Kitchens of Stirling castle serendipitously, while on the search for a small narrow path. 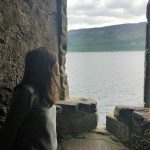 We couldn’t find it, but somehow chanced upon the kitchens, which were was situated further down the alley, facing the Great Hall. Which makes a lot of sense given that food will be transported over to the halls during celebrations and feasts. 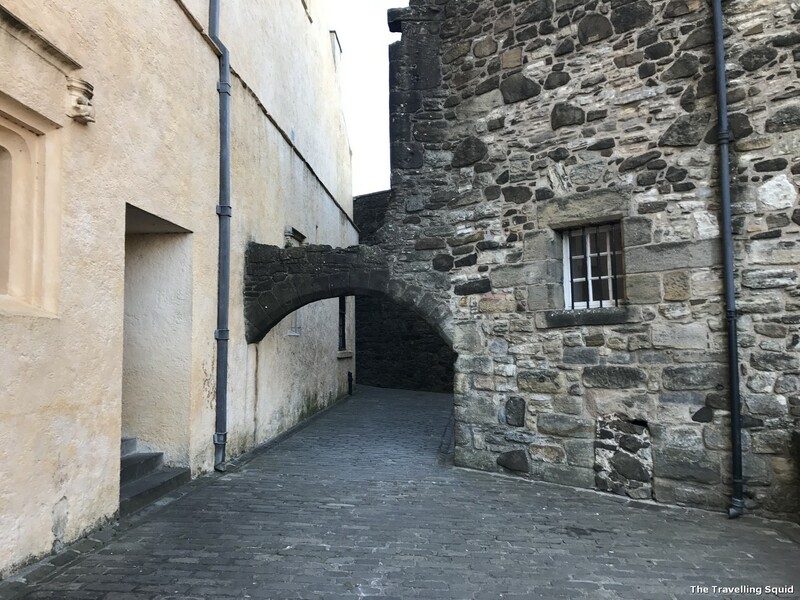 The little passage way in the castle we tried to explore. 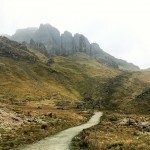 The Great Kitchens are on the right. 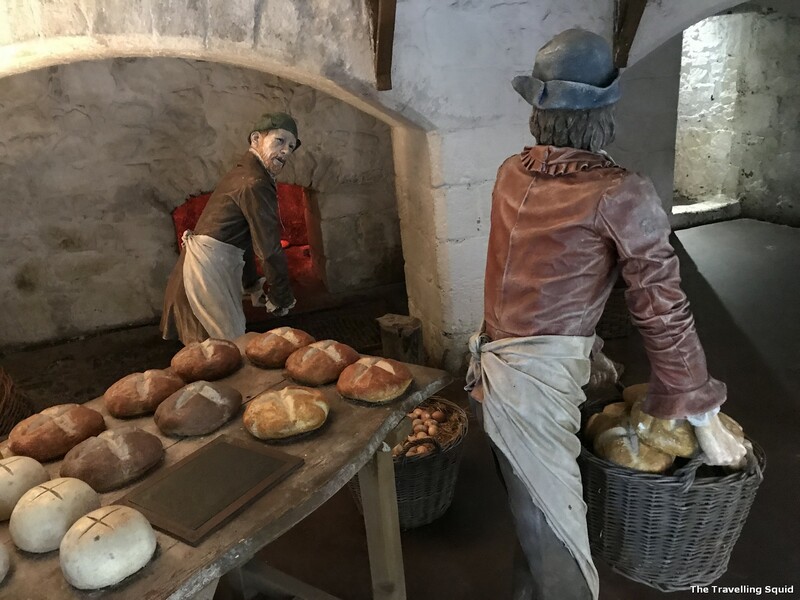 The Great Kitchens of Stirling Castle was probably my favourite part of the visit. 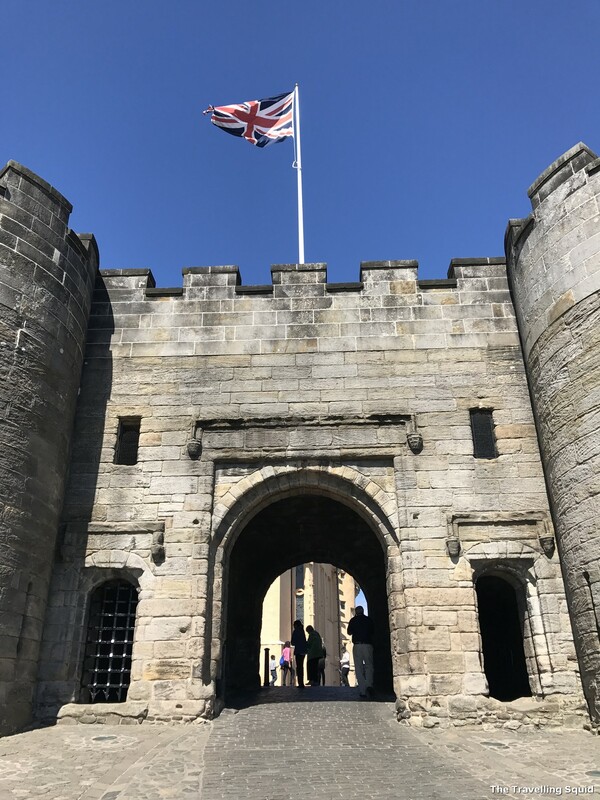 Perhaps it was because my interest in food and ale, or maybe it was because the rest of the castle was so orderly structured that made it seem that the Great Kitchens were bursting with life. 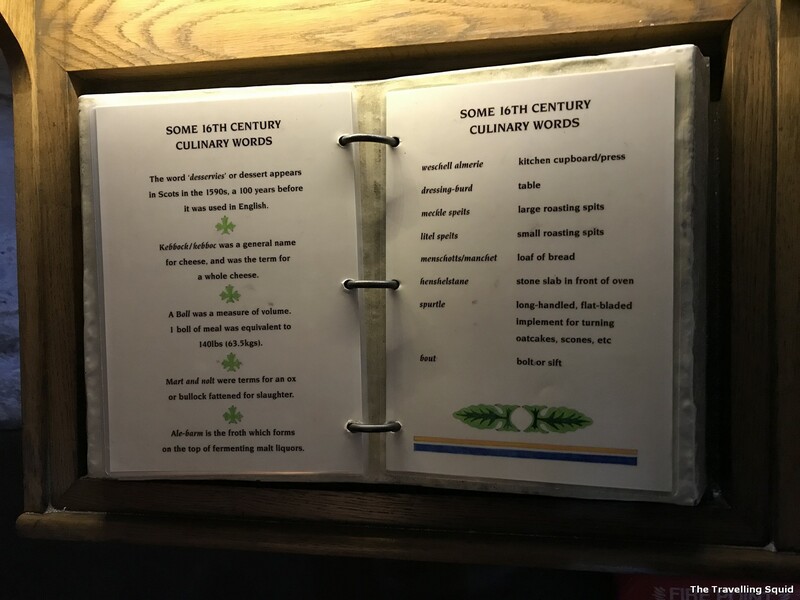 It was interesting to see what sort of food was cooked and eaten during the middle ages, and how ale was actually made. While I can imagine it to be an unpleasant environment to work in, it is also the most dramatic (think Downton Abbey). 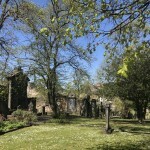 Enjoy exploring the grounds! It’s one of the more memorable parts of the castle.